When it comes to summer celebrations, the 4th of July on the Outer Banks is like no other. Never been here for our nation's birthday before? You can expect the beaches to be packed in what is possibly the biggest party of summer. The energy builds all week long -- I know I'm not the only one who has spotted an errant firework ignited by the early enthusiasm -- but the culmination comes this weekend with celebrations in the street, barbecues, parades and of course, fireworks. Shooting off your own fireworks is illegal on our beaches, so you'll want to make plans to attend one of the town fireworks displays, which are all free. You can, however, light as many sparklers as you please and even set off fountains and ground displays in some towns (call the town hall to ask just to make sure!). There's nothing quite like fireworks over water though, whether it be ocean or sound. The reflections and great vastness of it all is a sight we look forward to each year. But be careful . 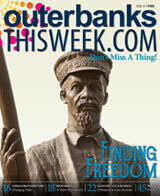 . . once you've experienced Independence Day on the Outer Banks, you will be destined to return every summer! This is one of my favorite 4th of July celebrations on the Outer Banks and one that is much anticipated after last year’s parade had to be cancelled due to Hurricane Arthur. 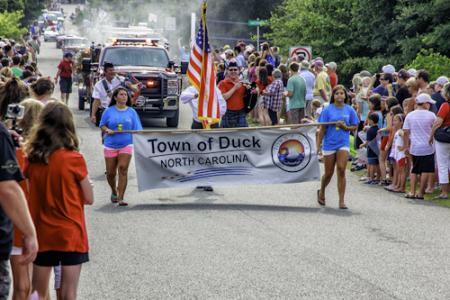 The forecast is looking much better this time around, so don your red, white and blue and head to Duck on Friday, July 3 at 9 a.m. (The parade is not held on the weekend because of changeover days and traffic.) The patriotic floats and marchers will head down Scarborough Lane toward the ocean, turn left onto Ocean Way and return via Christopher Drive. Make sure you stick around after the last float has passed by, because there’s a celebration in Duck Town Park immediately following the procession. Grab a slice of watermelon and listen to the live tunes of Just Playn’ Dixieland on the grounds of the park in the heart of Duck. It’s easy to see why this one made the list for the country’s Top 10 Best Small-Town 4th of July Celebrations, named by ABC News. 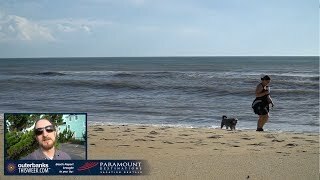 Another day-early event is the Independence Day Celebration at Whalehead, happening Friday, July 3 from 6 to 9:30 p.m. It’s an easy drive from Duck, so after you’ve gotten your parade fix (and perhaps worked your way through an entire watermelon), spend the evening at one of the most beautiful sites in Corolla. The fireworks will be lighting up the sky over Historic Corolla Park at dusk, and there will be music, good eats and activities for the whole family. Admission and parking are free. 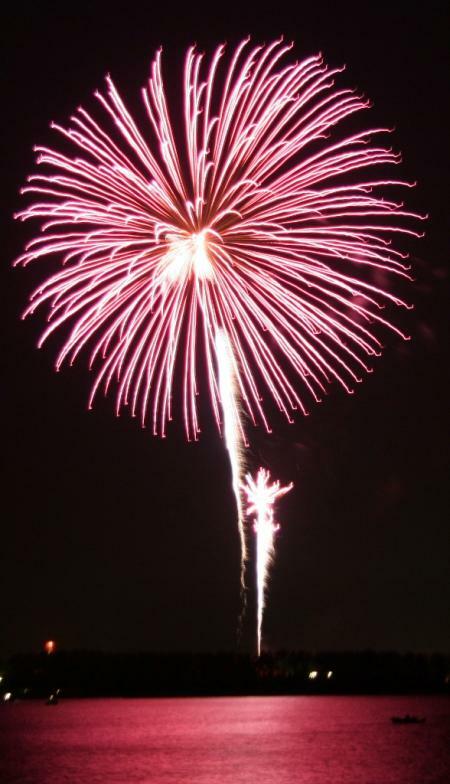 As for the day of 4th of July events, the fireworks kick off at 9:30 p.m. in Kill Devil Hills. Bring your beach chair or blanket to Avalon Fishing Pier, located at Milepost 6 on the beach road. This show and most other fireworks displays are going to be very crowded, so grab your seat in the sand early for the best view. Fireworks start at 9:25 p.m. at the Nags Head Fishing Pier at Milepost 11.5 on the beach road. If you take a moment to look up and down the beach – which can be hard when the fireworks are lighting up the sky above – you can actually spot neighboring fireworks displays going on at the same time. For those of us opting for Manteo on July 4, come early for festivities happening all day. The Town of Manteo celebrates our nation’s Independence Day on the downtown waterfront with live music throughout the day and food vendors on the streets. 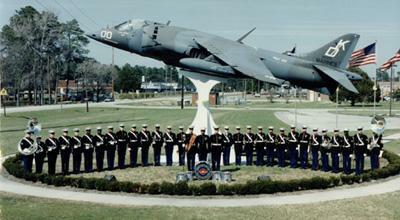 There will be a performance by the United States Marine Corps 2nd Marine Aircraft Wing Band on the Outdoor Pavilion at Roanoke Island Festival Park, just over the small bridge from the waterfront. The celebration culminates with a traditional fireworks display over the sound as soon as the sky is fully dark. When the show starts, look down at the water to see the sailboats illuminated. It’s quite a view! Locals and visitors down south should head to Avon Pier on July 4. The fireworks start at 9:30 p.m.
Hatteras Village will be bursting with red, white and blue spirit all day long on the 4th of July. There will be children’s activities like a bounce house and a water slide, an Art Walk, the annual Golf Cart Parade and a Fish Fry at the Fire Station in the middle of the village. The celebration ends with live music in the evening. When the last firework fades, check out the Nightlife & Events in your town. There may be more music on the Outer Banks this weekend than any other! In addition to acoustic tunes and nationally recognized bands, you can find dance parties, comedy clubs and trivia nights. You can bet I’ll be there in full patriotic ensemble.